After menopause, about 40 percent of women experience hair thinning, which is almost the same rate as men. September is Menopause Awareness Month, so her a re some key facts about how hormonal changes can cause hair loss and thinning and what women can do to treat it. Hair loss around menopause is common due to changes in hormone levels and activity, but it cannot be commonly cured with hormone replacement alone. 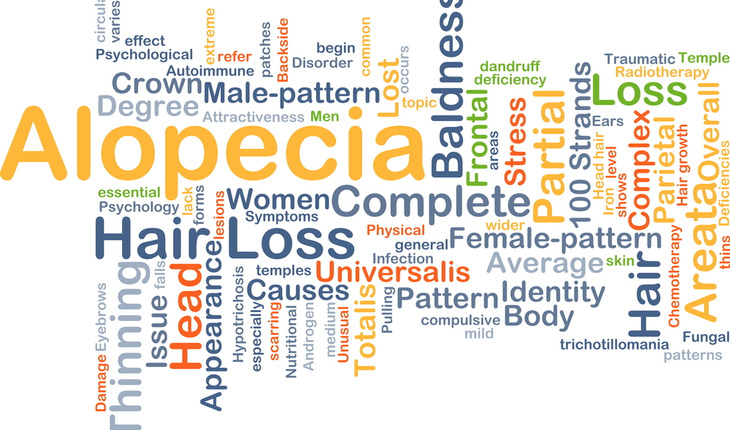 Genetic predisposition, unusual levels of stress, hormonal imbalances, vitamin deficiencies, crash diets, medications, as well as a history of illness and surgery can also be contributing factors to female hair loss. Most women benefit from a combination of pharmaceutical and lifestyle changes in treating their hair loss and thinning. Results are proportional to your level of discipline and compliance with the prescribed regimen. Studies have proven that hair loss can have wide-ranging psychological effects on women, including loss of confidence and self-esteem, and in some cases, depression, anxiety, social withdrawal and more. Medical treatments to protect and enhance hair follicle functioning may include compounded topical minoxidil Formula 82M, platelet-rich plasma injections, Latisse/Bimatoprost or other prostaglandin analogs, low-level laser therapy, off-label anti-androgens (for post-menopausal women only) and nutritional supplements like Viviscal Professional and pharmaceutical grade biotin.